Today, about 40% of the workforce in the average company is made up of millennials (ages 18 to 36), and within the next ten years, 75% of the workplace will be millennials. Research from ALM Intelligence shows that millennials now outnumber attorneys from Generation X (ages 37 to 52) at firms in the Am Law 200 and The National Law Journal’s NLJ 500. And they far outnumber Baby Boomers (ages 53 to 71). 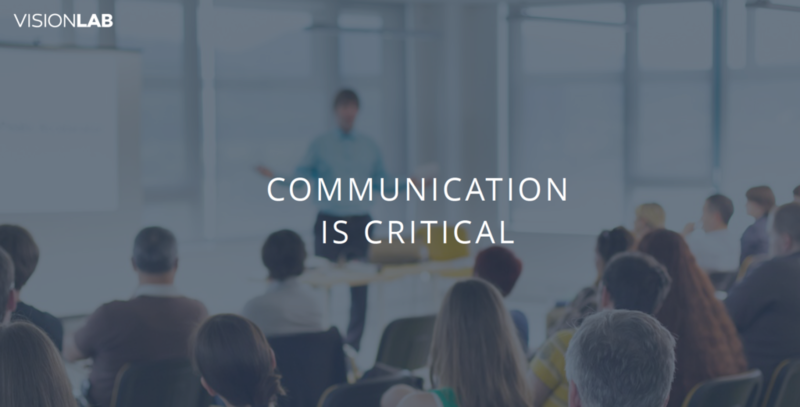 The right internal communications strategy is critically important for firms to adapt to this new reality. A 2016 Digital Workplace Communications survey found that communication is a primary concern for most businesses; however, most are not effective in this area. Millennials are forcing businesses to close this gap, with these “digital natives” now dominating the workplace with their mobile communication tools. As a result, they want the same from their employers. This article will examine the professional services environment and the internal communication problem that many law firms are experiencing with millennials. The millennial mind-set will be explored as well as solutions to bridge the gap between traditional law firm communications and what this younger generation of attorneys expects from their employers. 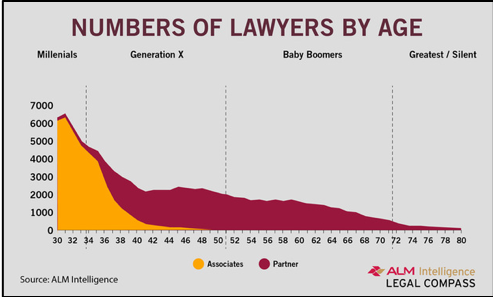 Millennials now outnumber attorneys from Generation X at firms in the Am Law 200 and NLJ 500. As has been widely published, millennials’ needs and expectations in an employer differ vastly from that of the traditional law practice. For years, the approach in law firms has been to keep quiet, keep your head down, and keep your billables up. Millennials come with a different idea of “work.” They want more flexible hours, more casual environments, and relaxed dress codes. This group doesn’t see work and their careers as a vital component of their personas. It’s a means to an end, rather than what identifies them. Because of this, Baby Boomers, Gen Xers, and Xennials should keep this in mind and work to adapt to the growing work force of Millennials. Today, Millennials expect nontraditional schedules. This is becoming more common in business. Communication should follow suit and be geared more towards what they expect. Along the same lines, Millennials strongly believe that their needs matter. They are an increasingly confident group that wants to communicate with decision-makers. As a result, “that’s the way we do it” isn’t going to be popular with this group. Nor is telling them to pipe down and get back to work. Millennials aren’t afraid to speak up and welcome direct, informal communication. A law firm that embraces a more direct communication style can create greater transparency and encourage new ideas—two other notions that Millennials want in their work. In The Vision Lab’s work with professional services firms we have observed that the majority of top ideas, up to 80% in our projects are coming from junior associates. They prefer informal communication, communication that is friendlier and more familiar. As they express themselves in 140 characters and with emojis in text apps on their phones, Millennials expect a similar style of casual exchange in the workplace. At the same time, in-person meetings and conference calls seem outdated and aren’t as effective. When law firm managers consider feedback for Millennials, they should note that this group has different expectations of leadership—they want a broader say in the firm’s strategy, which is drastically different than what might not even have been tolerated from associates in the past. While anonymity is very important for millennial feedback to break down silos and the traditional hierarchy of law firms, they expect action. Rather than rarely providing access to the managing partner, these employees want to provide feedback on the grander view of the organization. And when their feedback and ideas are given, leadership will be expected to act—and act quickly. Communication will play a vital role in attorney retention for law firms now and in the future. This will only be further impacted by AI (artificial intelligence). Millennials who are using AI in their personal lives will expect to have this technology at their law firms. Roughly 62% of Millennials value AI for recommending products and/or services. In fact, they’re willing to trade data for AI-based personalized suggestions. As such, law firms will need to move to the leading edge and become early adopters of AI-driven tools for the legal industry. To stay competitive for talent, firms will need to evolve with this technology, adapting new workflows and processes. Firm management must also consider the needs of Millennials and the implication of AI trends from an investment standpoint. Millennials are quicker to use new technology than any previous generation, and this group along with AI will transform the workplace. Law firm managers should consider new ideas in organization communications. A firm intranet with internal communications software or instant messaging are solutions that will allow for greater direct, informal dialog. In addition, supervising attorneys should communicate performance assessments frequently and provide Millennials with a strong understanding of their career path within organization. Along with these changes in communication comes a change in the view of the work/life balance. Firms should create remote working programs for Millennial associates and transform the office to a social center because Millennials appreciate the social aspects of work. While these types of changes may be difficult for older attorneys to embrace, the future well-being of the law firm depends on it. Many law firms underestimate impact of technology changes, and they fail to see the enormous impact that Millennials and technology like AI will have on the firm. Those who don’t close this gap and incorporate changes to communication into the law firm environment will be at a distinct competitive disadvantage when it comes to attracting talent and in increasing efficiencies. Millennials will one day soon assume control of the legal profession in sheer numbers. With that, they’ll also dominate leadership and partner positions. Adjust now to new standards for the dominant generation in the workplace and take to heart these suggestions to better prepare your firm for the future. Great ideas can come from anywhere in the organization, start by asking your young attorneys.